Free Demo version includes 10 dual presets with 3 active effect layers. Use this version with no time limit. 100% Royalty Free. Urban Vault sound library combines the character of the old school, crate digging, dirty, damaged audio feel that beatmakers love from one-shot sample format with the modern layering method provided in SOLUTION sampler to get the powerful merged sound. 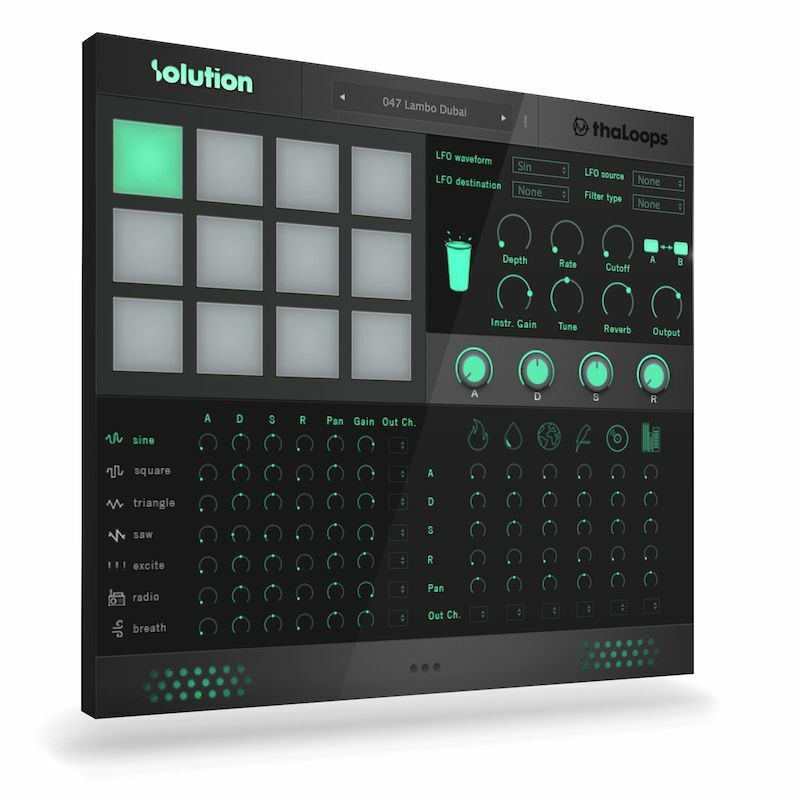 Solution Urban Vault features a collection of 91 dual presets delicately crafted for the creation of authentic hip hop riffs. Add life to your beats by injecting organic and analog elements to your hooks with ThaLoops signature layering method. Solution Urban Vault integrates seamlessly with your favorite DAW and effects plugins enhancing your beat-making workflow. Generate choppy riffs, catchy rhythmic hooks or background rhythmic noises with dual presets designed for an easy question and answer type phrasing. Create call and response type of beats instantly.